Getting into the contest even though there's only two weeks left because I am a mad man. Posting stuff once I come up with something! Thanks for taking a look! First sketch! 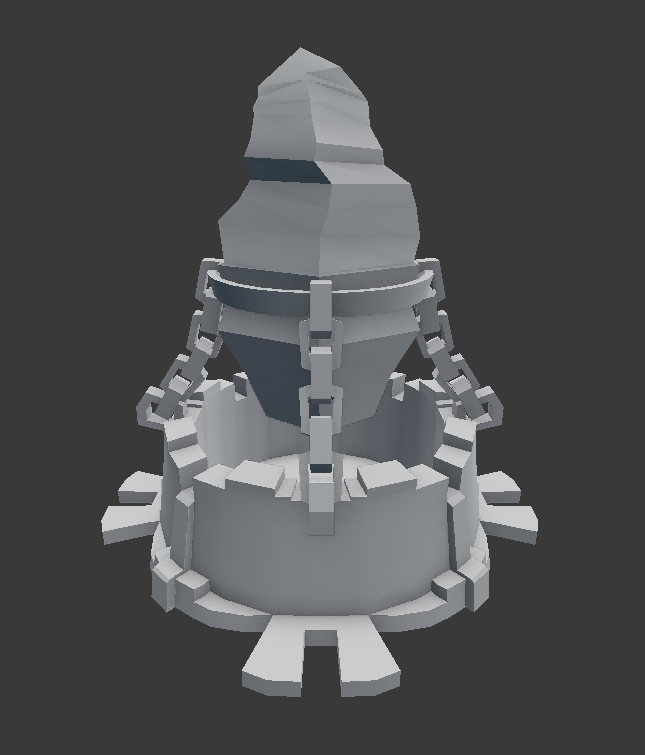 Gonna start modeling now that I have an idea of what I want to make! Edit: Included references. 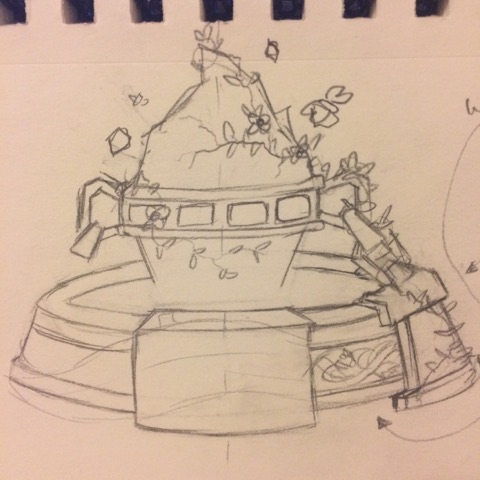 Got started with a sketch and came up with an inhibitor that utilizes the wood elements found in the environment. 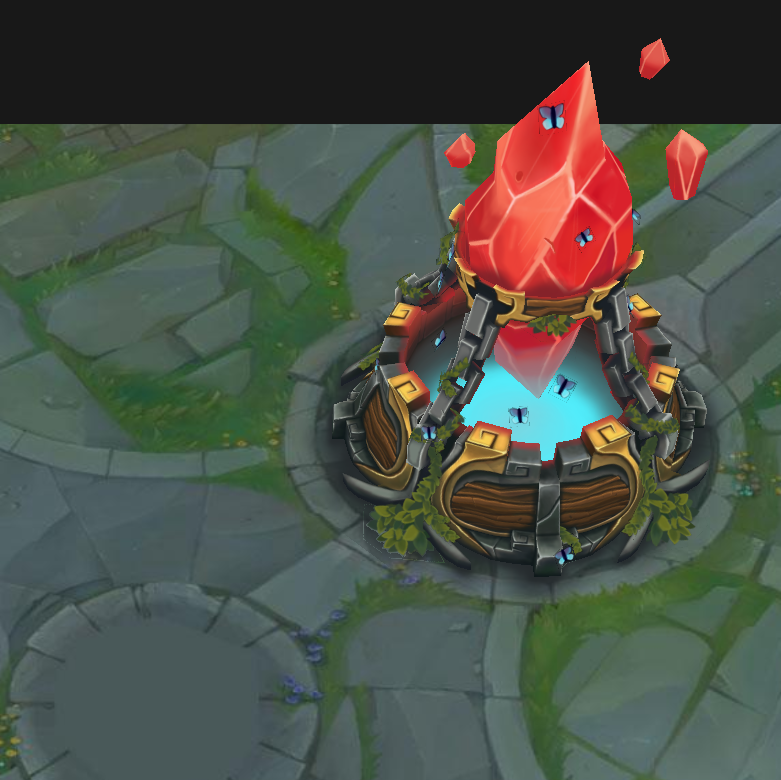 Also tried to push the idea of having a face on each side of the inhibitor. I did not want to make it too obvious though! Lastly, trying to figure out if I want butterflies, plants, and maybe someone trapped inside the crystal! 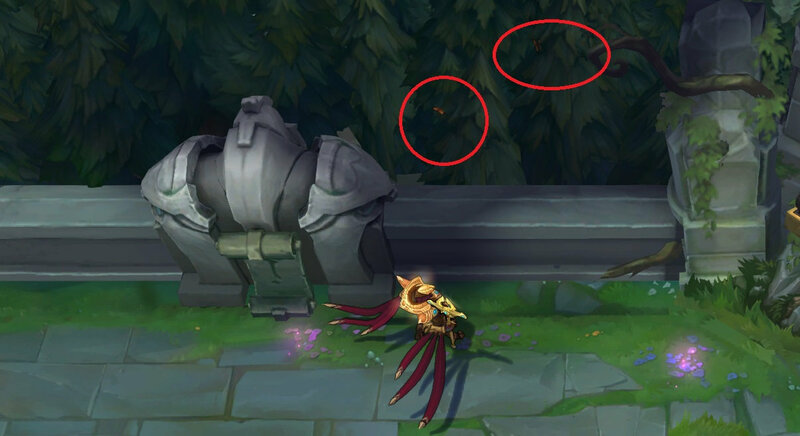 I also thought of adding butterflies or small animals on the inhibitor almost the same way as it is done on certain parts of the map! Edit: some progress on the concept! Hopefully I start modeling soon, a lot of catch up to do! 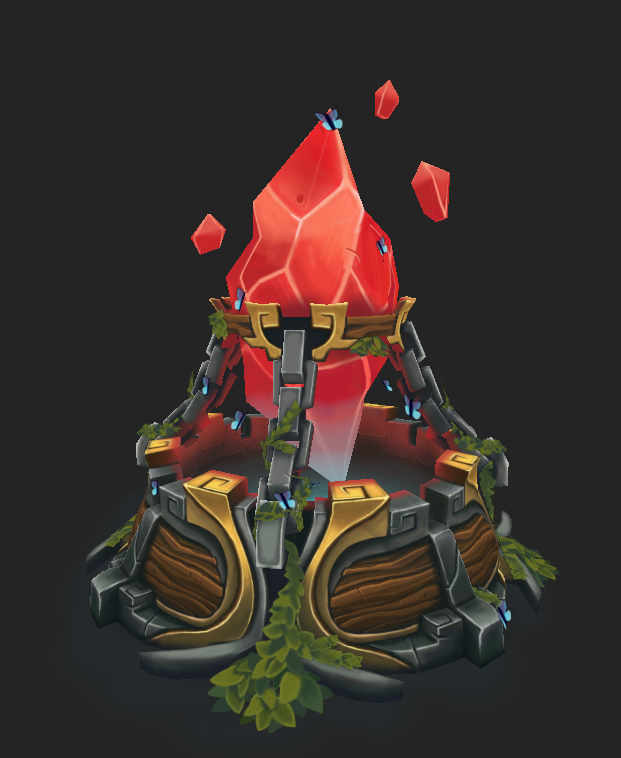 I need to make the crystal look nice, add grass or moss on the stone/wood and anything else that is missing! Getting closer to being done! 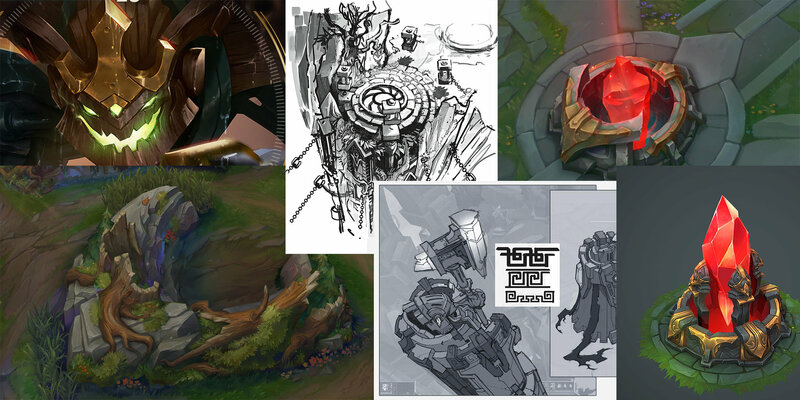 Added reference images up top! Sorry for the GIF's low quality, I don't know what happened to GifCam lol! Gotta do a few last touches, but it is pretty much done! Time to move to the next model! Hello hello! Started figuring out what I wanted to do as a second model. Decided to go for the wolves camp. I realized that making a cave sort of thing would be kind of the same, so I started brainstorming ideas. From making a well of some sort to making gigantic mushrooms...And then it hit me! What if I add a destroyed caravan and make that the "cave". I also realize that I can use this for storytelling too which would be quite fun to make. 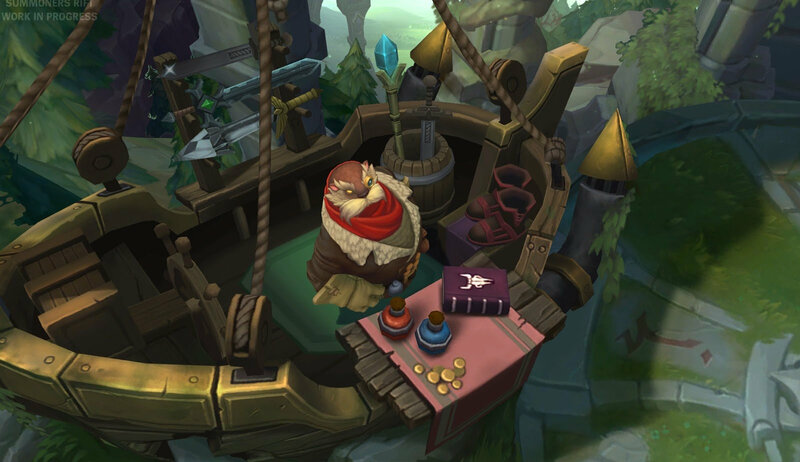 I thought that since they are wolves, maybe they turned someone into a werewolf and that someone was a king...perhaps that king became Warwick? Not sure about the lore on that side of things! I am gonna read a little about it just in case. Here's a really awful sketch on top of the wolves camp! I am probably just going to start modeling right away tomorrow. I might also add some moonlight hitting the crown and the stairs of the destroyed caravan. 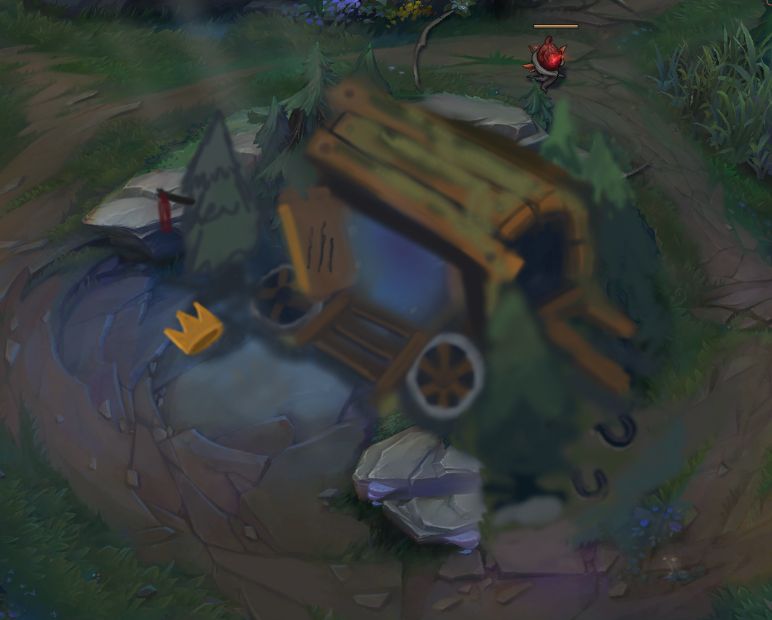 Here's a picture of the inhibitor in the environment! I have to change some of the colors and their values. And here's a quick block-out for the second piece! @RobertTerritory Hey Robert, thanks for the feedback! I definitely want to tone down the highlights on the texture. 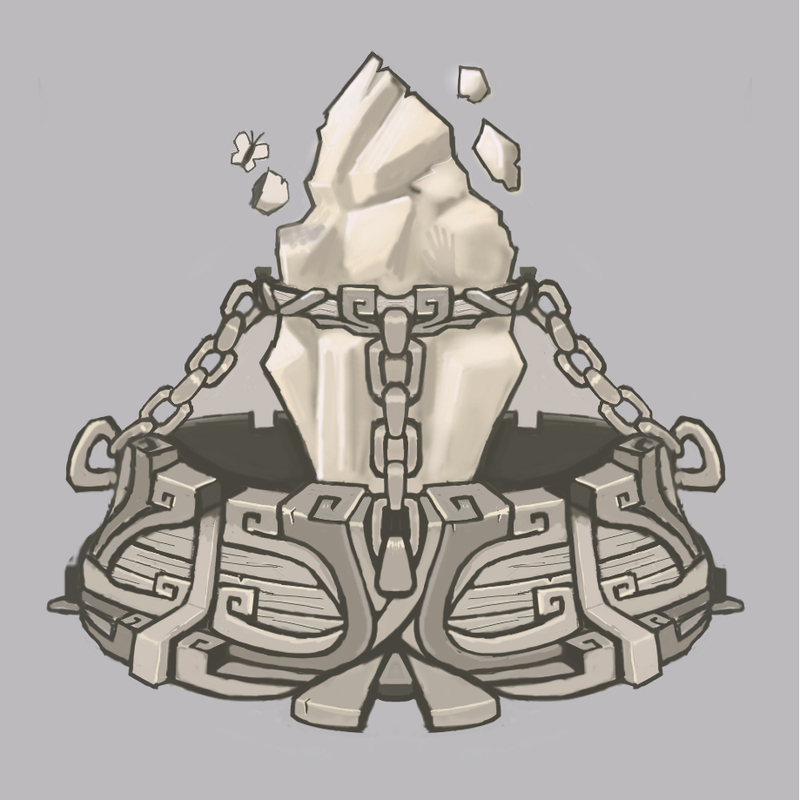 I also want to change the color of the rocks a little bit! Not sure if I will be able to finish, but I shall give my best! 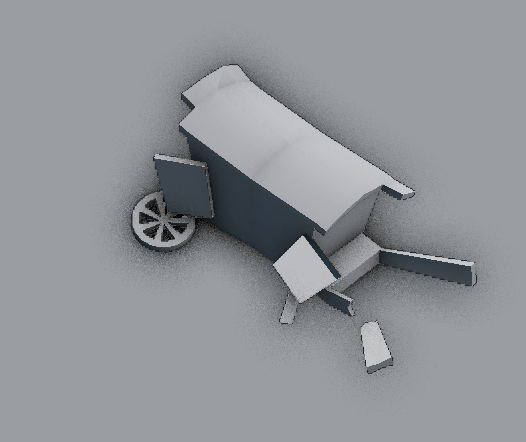 I have to remake the cart because it does not look too broken haha! 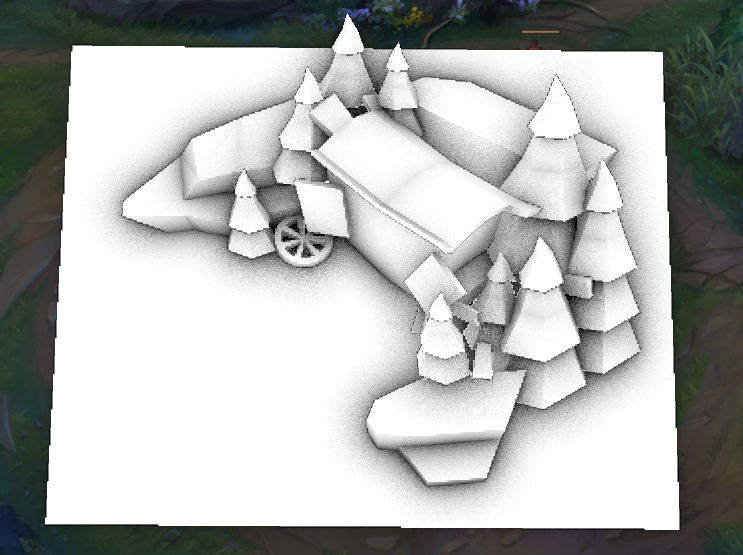 The whole piece is under 1k tris so far! Hello! I won't be able to finish both pieces for the submission. I ran out of time and had a lot going on this week! 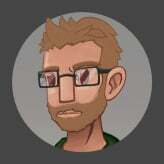 Thanks everyone that gave me feedback and took a look at the project! I truly appreciate it! Even though I did not finish both models, I learned a ton! Good luck finishing everything up, can't wait to see the final submissions!